This morning we welcomed Ian Jones who preached from Luke chapter 16, verses 19-end, The parable of the rich man and the beggar. Ian began by telling us that if there’s one thing we can take for granted it is that we are going to die. The Pharisees took for granted where they would spend eternity, they judged by outward appearance. Jesus was speaking to Pharisees who thought to be rich was a sign of God’s blessing. They mistakenly believed that to be rich or a descendant of Abraham automatically gave them the right to spend eternity with God. But the Lord told them this parable to show God is not like Man and looks not on outward appearance but the changed heart. The parable was to show the Pharisees how wrong they had got it. In the parable we see the contrast between the rich man and the beggar Lazarus – an exaggerated contrast. We see extreme differences in their respective positions. One is very rich, one is very poor. One has every reason to live whilst the other has nothing to live for in this world. The rich man was clothed in purple which was worn only by royalty. It was very expensive and very rare. Here is a man who was out to impress others. He wore fine linen, the kind of garment worn as under-clothes next to the skin, worn by a man wanting to feel good about himself. He fed sumptuously, living an extravagant, luxurious lifestyle. The beggar Lazarus sat outside the rich man’s gate, a large, ornamental gate showing the man would have had a large, extravagant house. We know what the man wore, what he ate – all about his outward appearance but nothing about his character. Likewise, we are told nothing about the beggar’s character, just his outward appearance. He was laid at the rich man’s gate, illustrating that he was crippled. The man was full of sores and had no comfort. He had an awful lifestyle having to beg. He received very little, longing to eat the crumbs from the rich man’s table. The extremes come to a head when the beggar and the rich man die. The beggar died and was carried by angels to Abraham’s bosom. Nothing is mentioned of a burial, he was probably thrown on a rubbish heap and forgotten. In contrast, the rich man was buried. This would have been a state affair with people speaking about what he had achieved in his lifetime. Lazarus accomplished nothing but the rich man accomplished so much. But the twist comes after death. Jesus tells us where the rich man and the poor man go, which is opposite to what people would have thought. They expected the beggar to go to hell and the rich man to go to heaven. This would have been a shock to the Pharisees. Today we are no different to the Pharisees, often making assumptions on outward appearances. Why are we given the name of the poor man? Possibly it is because he was known by God. When we are told a person’s name in Scripture it is because it is important. God knew this man, he was important to God as an individual. God’s love was shown to him. It is a wonderful thing to know that a believer will be carried to the Lord when they die. Pain and suffering will be gone. When he died the rich man saw Abraham afar. The Pharisees looked to Abraham believing they were his descendants and this assured them a place in heaven. The rich man asked for mercy but it was too late. His position was fixed in torment. We see a view of life after death given by Jesus. The rich man asked for Lazarus to go back to earth to warn his five brothers but they had Moses and the prophets. They had the Word of God. How is it for us today? It is easy for us to assume we will all end up in heaven if we live a good life. But we cannot take things for granted. Are we known to God or not? We came into this world as sinners. If we carry on in this way we will have an eternal existence without God. But if we want Christ in our lives and live day to day for Him we will have eternity with Christ. Last Sunday Reverend Doctor Gareth Edwards preached from 1 Peter chapter 3 verse 18. The Christians of the time knew great suffering and Peter encouraged them to think of Christ’s suffering. The Christians suffered unjustly, following in the steps of their Lord. He also suffered unjustly. Peter encouraged them to look to Jesus for hope, comfort, joy and strength. He died for the forgiveness of our sins and we will share in His Glory. The suffering of Christians can never compare to the depth of the suffering of Christ. Christ’s suffering was sufficient suffering, it was substitutionary suffering and it was successful suffering. Christ suffered once for sin. This draws a contrast with the Old Testament sacrificial system which offered daily sacrifices – for centuries blood flowed. In Passover alone a quarter of a million sheep would have been sacrificed. But Christ suffered once, one sacrifice. Once does not require any repetition; it is valid for ever. Jesus gave out His triumphant cry, “It is finished!” Hebrews 10: 11-16. Christ offered a single sacrifice for sin and sat down at the right hand of God. In His death Christ satisfied the righteousness of God. He paid in full, completely cleansing the sin of those who believe in Him. There is full atonement. His suffering was more than enough for our salvation. He purchased forgiveness for us. He alone draws us into a living relationship with our maker. Acts 4:12 It doesn’t matter how great your sin has been – Jesus’ death is sufficient enough to wash away your guilt. Don’t beat yourself up, you need to trust in Him. 1 Peter 2:24 Christ Himself bore our sins in His body on the tree. He is the righteous one, He takes our place. 2 Corinthians 5:21 Our salvation depends on two things: Jesus’ ability to pay for our sins and His willingness to pay. He demonstrated this with His voluntarily giving on the cross on our behalf. He died at the hands of men who falsely accused Him, He died for sinful men who deserved to be condemned by Him. He unjustly suffered for us who deserve eternal condemnation. Christians suffer unjustly but it is nothing compared to the suffering of Christ. His suffering was in our place. He substituted Himself for me. The penalty for our sin, which is death, has been paid by the Saviour because of His infinite love for us. We died 2000 years ago in the person of Jesus Christ. His finished work is the basis of our salvation. In His suffering Jesus took my place, my place personally. He has a personal interest in the salvation of each one of us because He has a personal love for each one of us. Do you know Him? No matter what you suffer it is nothing compared to Christ’s death. We can’t share the glory and blessings unless we take Him to be our Saviour. Jesus is the one who introduces us to God. Hebrews 6:19-20. He makes the way open to us to God the Father. At His death the thick veil that guarded the Holy of Holies, that symbolised that men could not have access to God, was torn from top to bottom. Christ had gone to God the Father, He made the way possible to God. He clothes us in righteousness and presents us. Hebrews 10:19-22.The Saviour’s sufferings were not in vain. Through His blood we have atonement. Jesus’ mission was an unqualified success. We have been inducted into the same fellowship with God the Father that Jesus, as the perfect God-Man, enjoys. Let us not be slow to approach Him in prayer. We are to make the most of our access to God, there is no limitation. It is open access every minute of every day because Jesus was completely successful in His sufferings. Those who trust in Jesus Christ as their Saviour will be in heaven for eternity. We are fully forgiven and have eternal fellowship with our God. Nothing can change that. This morning’s worship was led by evangelist Ian Middlemist, who preached from Acts chapter 3 verses 11-19. Here, the congregation before Peter were ready to give him all the praise for healing the crippled man. However, there were incredibly wrong to do this in three ways: they tried to give glory to men, not God, they rejected Jesus, they wanted to stick to their own principles. The first act of ignorance was to try to give Peter the credit for the healing which had taken place. We need to give all the credit to Jesus. Peter asked them why they were surprised the man had been healed. No one should be amazed because in Jesus’ world this is what happens. The crowd were ignorant in giving glory to the men. People today give honour to human icons, crowds give praise to men. This can also happen on a spiritual level (John 12, verse 43), when men prefer the praise of others rather than God’s praises. 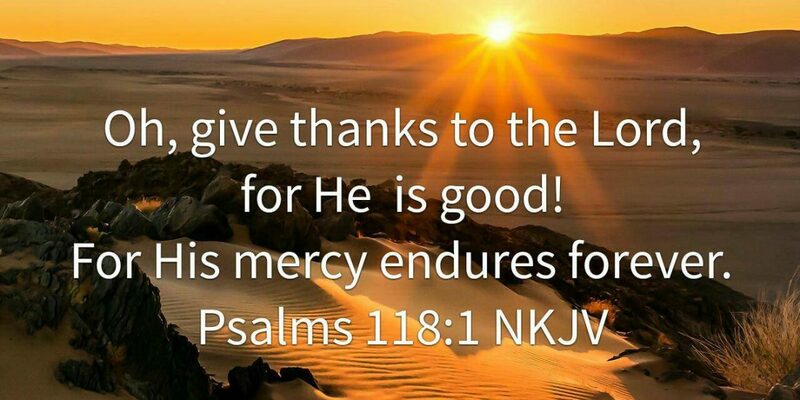 Praise belongs to the Lord and the Lord only. Give the glory to God. The second act of ignorance was rejecting Jesus. In contrast to the honour the Lord gave to Jesus, we see the great dishonour shown by the inhabitants of Israel. They denied the holy, righteous one. They killed the author of life. But no-one could over-throw the Prince of Life, who is risen again. The author of life suffered on the cross; it is by His Grace we are here today. The third act shows the people being persistently ignorant. Christ’s death was no accident, it was always in the eternal plan and purpose for the Son to be crucified. God is in total control. Those who caused the death of Jesus did it in ignorance. Many people believe they cannot be held accountable. Peter is not giving them an excuse; every person who walks on this planet knows of the existence of God. No-one has an excuse to reject Christ. Peter calls for their repentance. Forgiveness is necessary. Everything that happened to Jesus was foretold. Wrath is coming, judgement of God is coming. Stop making excuses. Repent. Start again. Don’t try to fix things yourself, turn to Jesus. What men planned for evil, God planned for life. The cross brought resurrection. We can have newness of life because we are forgiven. Forgiveness is not for all. We must repent then blessings will flow – sins will be wiped out, Christ will come and complete the work He began. The crippled man praised God, we too should praise God for the wonderful Salvation He has given us. Look to Jesus, He who deserves the praise. We were reminded that the Gospel is Good News, God’s Good News, God’s message of Salvation. The message centres on the cross, Christ crucified, Christ risen, Christ ascended, Christ coming again. Paul says we are citizens of heaven who no longer belong to this world and its principles if we have come to the cross. We belong to the lord, to the kingdom of heaven, therefore, we should act and live our lives in a changed way. We must live different lives. The Christian life is about standing strong. There will be conflict, people seeking to attack the church and the Bible. As troops have fought for king and country, standing together, moving forward together against the enemy, we too must come together and bear one another in love. The church must know commitment. We must all support the work of the church. We need not be afraid, for we are on the winning side. We must stand with the sword of the Spirit. The enemy’s work is to divide and conquer, but God is love and peace. Do not be afraid (Psalm 21). One of the greatest problems today is there is no fear of God, a watering down of the doctrine. The wrath of God will be revealed to those reject Him. Hell is a reality. Suffering and affliction was marked by the Saviour’s feet. We must all suffer in various degrees. We should not be surprised by this. When afflictions come our way we may feel hurt, offended, grieved. Jesus suffered infinitely more. If we suffer for Christ we do not suffer alone. Christ is with us, all around us. There will be blessings and great joy, times of great advancement in the Gospel, but there will be times of suffering too. Fight the good fight of faith, looking unto Jesus, our victory. The message this morning came from Dafydd Morris who preached from Genesis chapter 28 verse 12. He spoke about Jacob, who was born into the most important family on earth. Although a privileged man, prior to his dream of the ladder, Jacob was a godless man. Until the Lord comes into our lives we are ungodly. At this point in Jacob’s life he was spending his first night away from home in the darkness. The darkness outside is the reflection of the darkness inside – until we are saved. Jacob put his head to rest upon a stone, he sought comfort where there was none. He lay down alone, illustrating his vulnerability. Yet whilst he was asleep Jacob saw a ladder going from earth to heaven. This ladder illustrates that Jesus perfectly spans the gulf between heaven and earth. At Calvary he brought reconciliation. The bottom of the ladder was on earth – it came right to where Jacob was, just as the Gospel comes to us where we are, not where we should be. We are dead in sins and trespasses, we can’t take the first step, it is all of Grace. The top of the ladder is in heaven. Christ died to bring us to God. The salvation brings us to the place where we need to be, to be in fellowship with God, in the presence of God in prayer. Jacob learnt by looking at the angels ascending and descending the ladder, that Jesus is the only way to come to God. We don’t come in our own merit, we come through Christ. The angels came down to serve, we also need to serve. Whatever we do we need to ask for the Lord’s help.